Training farm personnel has positive impacts on animal well-being and performance, thus increasing overall farm profitability. The performance of dairy cows is mainly determined by genetic merit, but without proper management by knowledgeable and capable farm personnel, dairy cows will not be able to fully express their genetic potential. 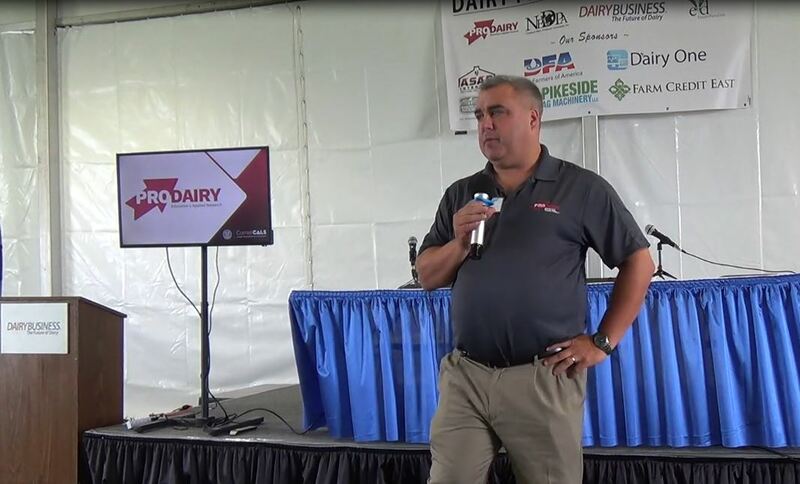 In order to properly manage dairy cows to allow them to excel, it is critical to establish a reliable team of farm personnel who are routinely trained using up-to- date and easy-to-understand training materials. Despite the unquestionable importance of personnel training in dairy farms, only 60% of the dairy operations in the U.S. provide such training (USDA, 2014). Of this 60%, 41% provide oral presentation trainings, while only 12% provide training using interactive teaching methods, such as educational videos (USDA, 2014). 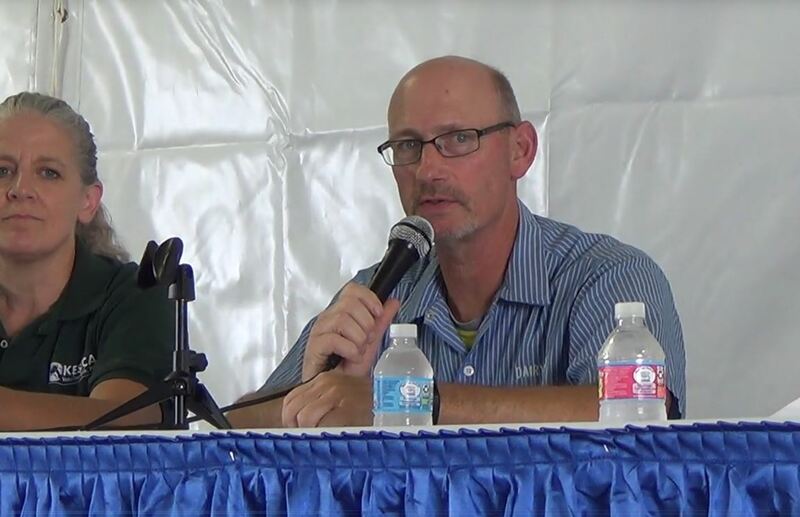 Although any type of personnel training (e.g., on-job, lecture, combination) would be beneficial, a combination of oral presentations and hands-on demonstrations has been shown to significantly increase the knowledge and skills of farm employees. In a study by Schuenemann et al. (2013), the authors reported that a combination of oral presentation and hands-on demonstration training increased the level of knowledge of the participants by 21%. Supporting the latter, we reported similar results (23.7% gain of knowledge) in a study (Barragan et al., 2016) where oral presentation and hands-on demonstration training, regarding physiology of parturition, calving assistance practices, and utilization of a new record collection/keeping tool (eCalving app), was delivered to maternity personnel. In this study, personnel not only increased their level of knowledge, but also reported that the training materials were relevant and of immediate use for their daily work (Barragan et al., 2016). The benefits of this training approach not only include improving personnel knowledge, skill, and confidence at work, but also enhancing calf and cow health and performance. It has been reported that this training approach was essential for decreasing the incidence of stillborn calves, metritis, and damage of the birth canal (Lombard et al., 2007; Schuenemann et al., 2011), all of which are important risk factors for poor reproductive performance. 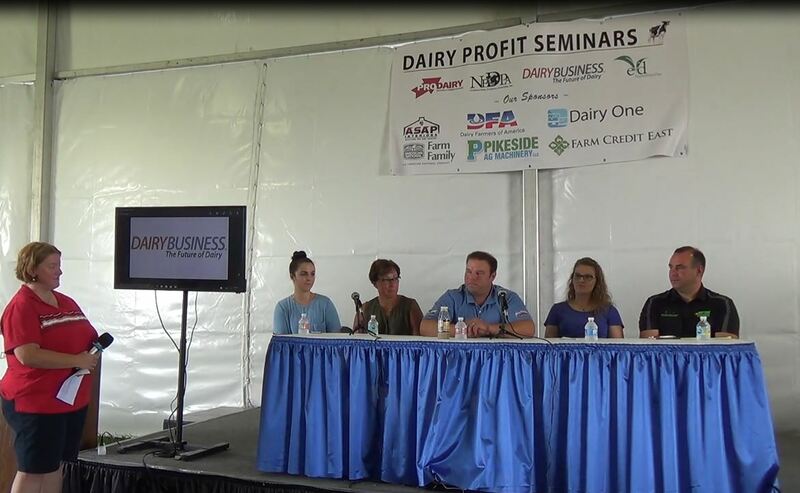 In 2018, the Penn State Veterinary Extension Team has provided personnel training for 22 PA dairy farms, educating 88 employees. The main topics covered during these trainings were milking routine practices (n = 13), calving management practices (n = 7), and hoof health and care practices (n = 2). During these trainings, participants had an average gain of knowledge of 29.42% (range = 21.42% to 42.5%). Furthermore, farm employees reported that the program provided relevant information for their daily work (agree = 24.4%; strongly agree = 75.6%) and that they will feel more comfortable doing their job as a result of the training program (agree = 26.8%; strongly agree = 73.2 %). In addition, 100% of the participants reported that they would like to have another training in the near future. These educational programs are provided by the Penn State Veterinary Extension team at a very affordable cost, intended to cover only the travel expenses of educators. The cost of providing proper training to farm personnel may be insignificant compared to the benefits to animal health and performance observed in operations where personnel were properly trained. Some of the most significant improvements in farm profitability resulting from these programs were increase in milk yield (4 lb/cow/day), decrease in the number of stillborn calves (2.29%), and decrease in retained placenta (2.6%) and metritis (1.59%) incidences. It has been reported that cows that had a stillborn calf had a 24% decrease in pregnancy rate (Bicalho et al., 2007), and cows that had retained placenta or metritis had a 14% and 15% decrease in conception rate, respectively (Gröhn and Rajala-Schultz, 2000). Therefore, personnel training, especially in transition cow management, may have substantial benefits on the reproductive performance of dairy cows. Personnel training is not only important to monitor and control critical risk factors of poor reproductive performance during the transition period, but also to obtain excellent compliance with fertility protocols. Timed artificial insemination is one of the most common breeding practices performed in dairy operations in the U.S. (USDA, 2009). During these fertility programs, specific synchronization hormones must be provided to dairy cows on specific days, and lack of compliance with the synchronization injections can significantly decrease the efficacy of the program. For instance, in a fertility program where three injections must be administered, if there is a 100% compliance (e.g., proper drug, proper dose, correct day/time) with each injection the overall program compliance would be 100% (overall program compliance = 100% × 100% × 100% = 100%). Now, if the compliance with each individual injection decreases to 95%, instead of 100%, the overall program compliance decreases to 86% (overall program compliance = 95% × 95% × 95% = 86%). This situation becomes even more detrimental in fertility programs that require several injections, such as Double-Ovsynch, where six single injections must be administered to synchronize cows. In this scenario, a compliance of 95% for each individual injection would decrease the overall program compliance to 73.5%, resulting in a significant negative impact on the reproductive performance of the animals being synchronized. The training of farm personnel has positive impacts on animal well-being and performance, thus increasing the overall farm profitability. Training programs that deliver up-to- date information in an easy-to-understand manner increase knowledge, skills, and confidence of farm employees, all of which may improve employee performance and subsequently enhance cow health and production. The implementation of these training programs in main areas, such as transition cow management and fertility programs, is an inexpensive practice that would greatly contribute to ensuring excellent reproduction in dairy operations. Barragan, A. A., J. D. Workman, S. Bas, K. L. Proudfoot, and G. M. Schuenemann. 2016. Assessment of an application for touchscreen devices to record calving-related events in dairy herds and monitor personnel performance. J. Dairy Sci. 99:5662–5670. Bicalho, R. C., K. N. Galvão, S. H. Cheong, R. O. Gilbert, L. D. Warnick, and C. L. Guard. 2007. Effect of stillbirths on dam survival and reproduction performance in Holstein dairy cows. J. Dairy Sci. 90:2797–2803. doi:10.3168/jds.2006-504. Gröhn, Y. T., and P. J. Rajala-Schultz. 2000. Epidemiology of reproductive performance in dairy cows. Anim. Reprod. Sci. 60–61:605–614. doi:10.1016/S0378-4320(00)00085-3. Lombard, J. E., F. B. Garry, S. M. Tomlinson, and L. P. Garber. 2007. Impacts of dystocia on health and survival of dairy calves. J. Dairy Sci. 90:1751–1760. doi:10.3168/jds.2006-295. Schuenemann, G. M., S. Bas, E. Gordon, and J. D. Workman. 2013. Dairy calving management: Description and assessment of a training program for dairy personnel. J. Dairy Sci. 96:2671–2680. doi:10.3168/jds.2012-5976. Schuenemann, G. M., I. Nieto, S. Bas, K. N. Galvão, and J. Workman. 2011. Assessment of calving progress and reference times for obstetric intervention during dystocia in Holstein dairy cows. J. Dairy Sci. 94:5494–5501. USDA. 2009. Reproduction Practices on U.S. Dairy Operations, 2007. USDA:APHIS:VS, CEAH, Fort Collins, CO.